Record your iPhone, iPad or iPod Touch Screen With Dr. Fone iOS Screen Recorder: Most persons before reading this post will think that there are many screen recorders out there in iOS app market then why they require Dr. Fone iOS Screen Recorder on their iDevices. Well! if you are thinking like this then you should definitely go through this entire post and you will get the answer to your question. Due to its amazing set of features which hardly can be found in any other iOS Screen Recorder; Dr. Fone can be truly considered as on the top of all. So read more to get to know about the exclusive features, download and installation of Dr. Fone iOS Screen Recorder for iPhone/iPad/iPod Touch. Also check: Wondershare Data Recovery Software:How to Recover Lost Data from Windows PC. 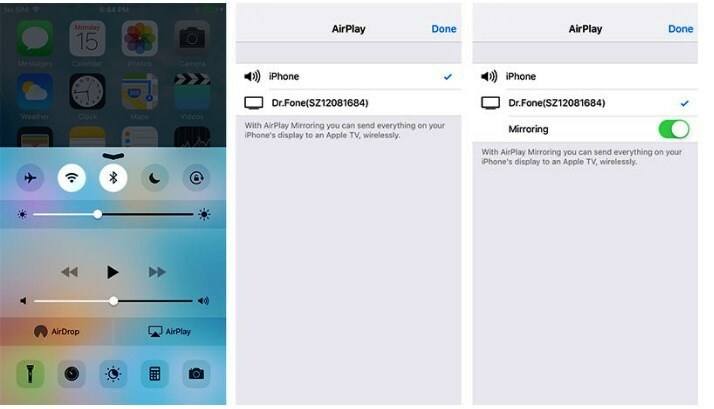 Dr. Fone iOS Screen Recorder is supported both with or without jailbreak. It runs smoothly on. iPhone 7 Plus, iPhone 7, iPhone SE, iPhone 6s Plus, iPhone 6s, iPhone 6 Plus, iPhone 6, iPhone 5S, iPhone 5C, iPhone 5, iPhone 4S, iPhone 4.
iPod touch 5 & iPod touch 4 running on iOS 10, iOS 9/9+(9.1, 9.2, 9.2.1, iOS 9.3, 9.3.1, iOS 9.3.2, 9.3.3, 9.3.4, iOS 9.3.5, iOS 10, 10.1, iOS 10.0.3, 10.0.2, iOS 10.0.1, iOS 8/8+ and iOS 7.1. Now let us make you all aware of the fantastic set of features of this application. Capture the system audio of your device. Use a projector to share your device’s screen. Record assignments and share them wireless with an entire classroom. 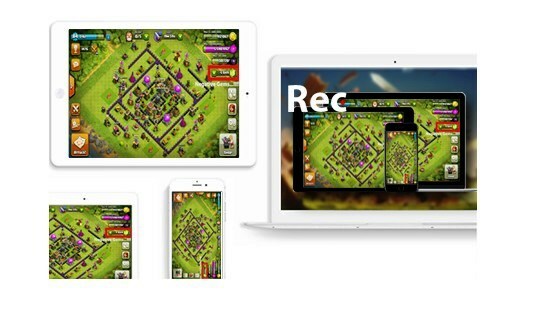 Mirror and record mobile game play on a larger screen. Application is easy and convenient to use. Settings can be customized so that we can set up recording according to our own requirements. Export HD videos to your PC/Computer. Developer guarantees that there is no risk to your phone or data by using this application. You are 100% secure. CPU 1 GHz (32 bit or 64 bit). 256 MB or more of RAM (1024 MB Recommended). 200 MB and above hard disk free space. Now the readers will agree that Dr. Fone iOS Screen Recorder is truly the king of all iOS Screen Recorders currently available in iOS App Market. Also check: Download Pro Evolution Soccer 2017(PES 2017)Apk for Android Mobiles/Tablets. Now before going ahead with the download and installation part let us explain the readers as to how to record your screen using Dr. Fone iOS Screen Recorder for iPhone/iPad/iPod Touch. Check Out Best Emulator: Download GBA4iOS for iOS 10.1/10.0.2/10.0.1/10+ iPhone/iPad . First Download Dr.Fone iOS Screen Recorder on your computer and “click on More Tools”. First you need to ensure that your iDevice and Computer are on the same Wi-Fi network. 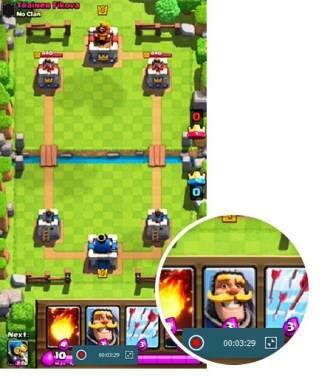 Now click iOS Screen Recorder from your computer and window of the application will come up. For iOS 10 swipe up from the bottom of your screen to open Control Center. 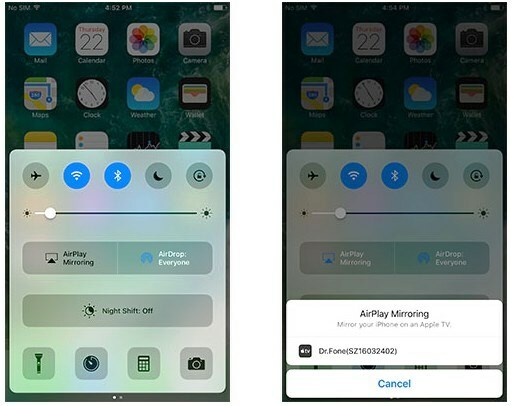 Tap on “AirPlay Mirroring” and select “Dr.Fone” to mirror your device to the computer. Now we can see two buttons at the bottom of the screen on your computer. You can click the left circle button to start recording your iPhone, and click the right square one to display a full screen. Do check: Download Tutu Helper for iOS(iPhone/iPad)/Android Without Jailbreak. Dr. Fone iOS Screen Recorder can be tried for free and full setup of the trial version can be downloaded from the above provided links. We guarantee that you will absolutely fall in love with this amazing application. Click on the above provided URL to navigate yourself to the ‘Buy’ page of Dr. Fone iOS Screen Recorder. So folks that is all the information for this fantastic application. So get set, download and enjoy the amazing features of Dr. Fone iOS Screen Recorder for iPhone/iPad/iPod Touch. Multiple SnapChat Accounts on One iOS(iPhone/iPad) Without Jailbreak. Download Google Allo App For Android Mobiles/Tablets. In case you have more queries or face any issues with the installation process feel free to comment in the comment section and we will get back to you with an answer to your query or solution to your problem on priority basis. I can’t record YouTube or live stream. I need the live stream for International soccer games. Plus how long will it record, what is its max? Why isn’t this App in the app store? Is there any 3rd party verification of its safety? I tend to distrust apps offered outside of the app store. I would surely purchase this if trust obstacles could be satisfied. Andy, It’s completely trustable app and i have been using iOS Screen Recorder for the last couple of months. I am completely happy wit this fabulous application and i strongly recommend this application to you. If you face any difficulty feel free to get our assistance. Thanks.